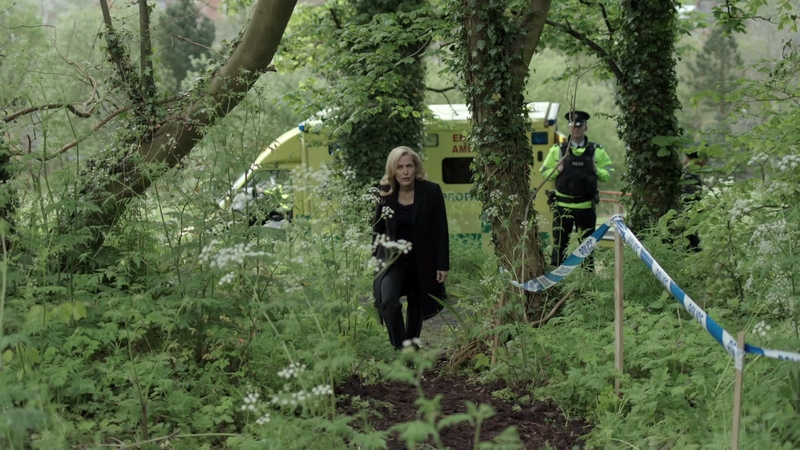 If you want to watch a gripping, methodical psychological thriller, The Fall is thoroughly excellent television. 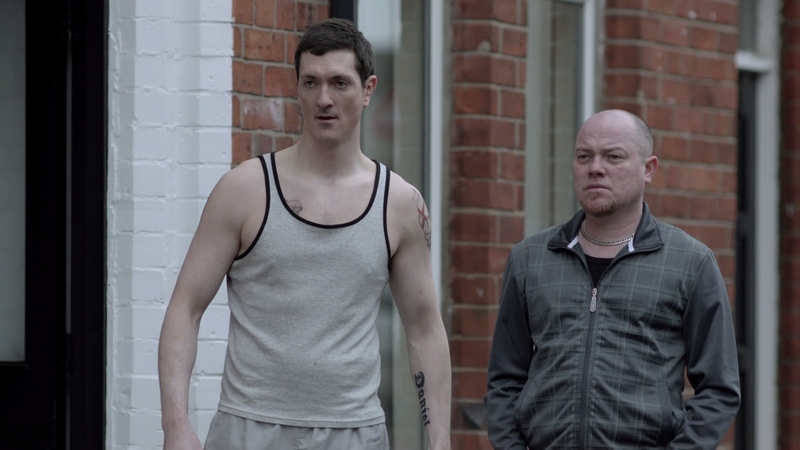 Its taut cat-and-mouse chase between the police in Belfast and a devious serial killer builds to a chilling finale in this second season of the show. The BBC series ranks very favorably with the best television produced by HBO and other premium cable channels in the United States. Stars Gillian Anderson (The X-Files) and Jamie Dornan (Fifty Shades of Grey) shine with exacting performances in their demanding roles. A completely serialized television show from beginning to end, Series 2 of The Fall picks up nearly where Series 1 ended. Serial killer Paul Spector (Jamie Dornan) has fled Belfast, directly taunting Detective Superintendent Stella Gibson (Gillian Anderson) and her team of detectives in the process. Having already left a string of dead victims, the police have reason to believe that one of Spector’s victims may still be alive. It’s a race against the clock as Gibson and her team search for crucial evidence that could provide the final clues in unlocking this mystery. This season sees a teenage girl fall under Spector’s influence, Katie. As Paul Spector’s marriage falls apart, he draws the impressionable teenager into his deadly obsessions. It is a riveting addition to the strong procedural focus of The Fall’s first season, which did drag at times when it deviated away from Paul’s murders. Spector’s magnetic personality allows him to manipulate the people around him, getting under their skin when needed. 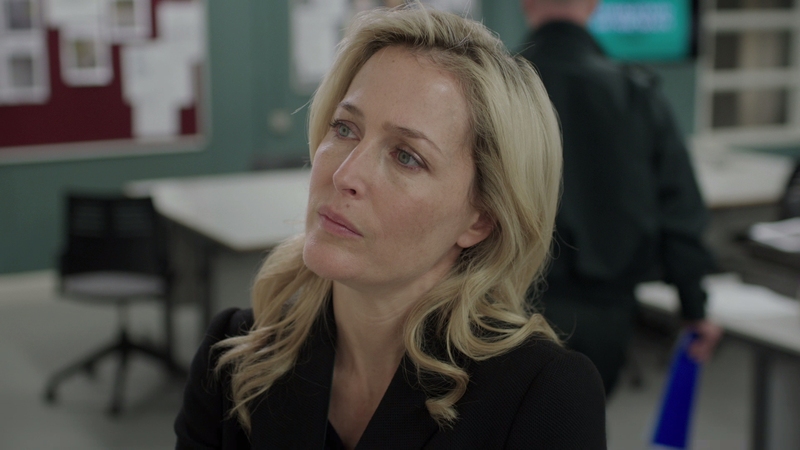 The crux of Series 2 revolves around the intense fascination between Spector and the detective chasing him, Stella Gibson. The strong-willed, self-driven detective will be tested in psychological ways previously unimagined to her as Spector invades her most private feelings. What began as a strong psychological thriller in Series 1 turns absolutely enthralling as Spector’s web of lies about his life breaks down. The sadistic killer begins to lose the things most important to him, his young children. It is only a matter of time before the police circle around the cunning psychopath as the main target of their investigation. The tense drama builds to a haunting finale that wraps everything up in an unexpected package. 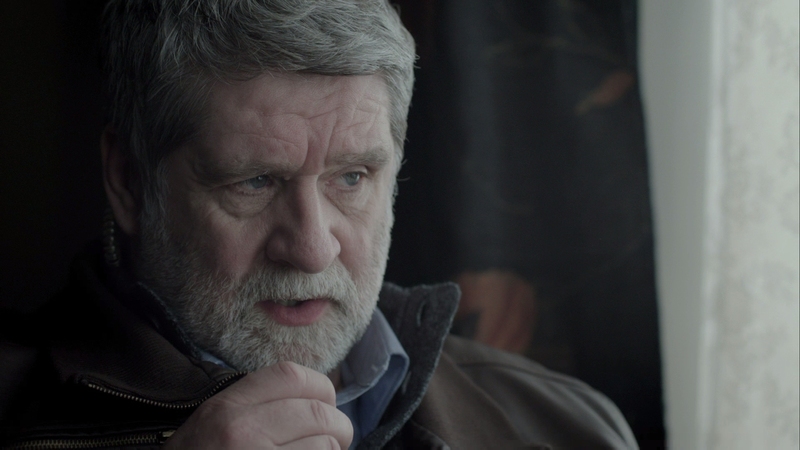 The Fall crackles with an electric intensity rarely seen in psychological thrillers. Beyond the tight writing of series creator Allan Cubitt, much of that is thanks to Jamie Dornan. He is a revelation as the enigmatic, cold-blooded Paul Spector. He makes the character flesh, forcing the audience to see inside the mind of a truly deviant personality. This is some of the best dramatic television seen in years and comes unequivocally recommended for fans of demanding entertainment. There is nothing like this on American television. 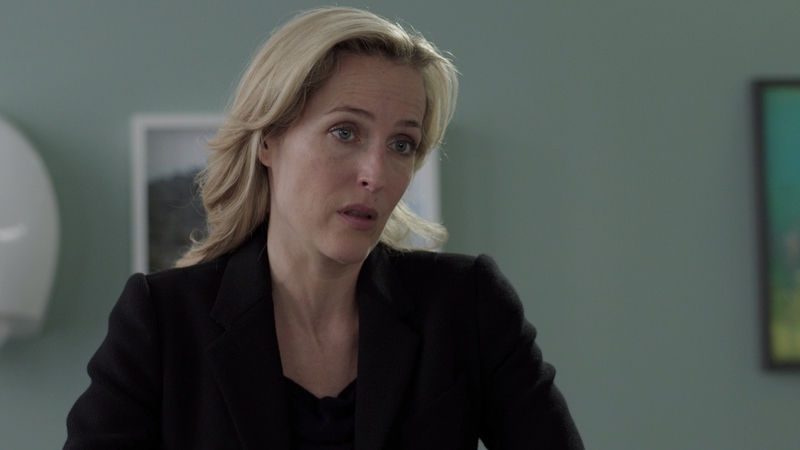 The Fall’s Series 2 looks identically flawless to Series 1 on Blu-ray. Acorn Media delivers an impressive Blu-ray presentation for The Fall Series 2. Filmed with Arri Alexa cameras, the 2014 BBC production exudes clarity and dimensionality in its 1080p video. I haven’t seen all Acorn Media releases but this is easily the most photogenic Blu-ray I’ve seen from the label. The only television releases matching this picture quality in the States are coming from premium cable channels. The six episodes of Series 2 (what Americans would call season 2) are spread over two BD-50s. The video features a strong, thoroughly transparent AVC video encode. Averaging under 20 Mbps, the consistent digital cinematography looks immaculate with only a handful of minor artifacts. A wisp of banding pops up in a couple of frames but this is wonderful video quality. This neutral presentation keeps a nicely subdued contrast with perfect black levels. The sharp interiors are a little darker in tonality but exteriors shine with razor-sharp depth. Completely unfiltered, high-frequency content is seen with an abundance of outstanding fine detail. This is a perfect digital transfer for a show shot without digital composites, giving it a flawless transparency unmatched by heavy VFX shows. The video exhibits almost everything you would want in modern, clean picture quality. The Fall receives a quiet, somber 5.1 DTS-HD MA soundtrack with fantastic clarity for its dialogue. The dialogue-driven thriller has some nicely atmospheric moments to its score. This is moody audio that stays out of the way for the most part, rarely including more than a few bursts of anything but quiet instrumentals. Those looking for a discrete, highly immersive sound design are bound to be disappointed. Some auditory cues surprise but that is mainly reserved for Paul’s more intense scenes. Acorn Media has provided optional English subtitles in a white font. Acorn Media includes a glossy slipcover, matching Series 1’s Blu-ray set. The two-disc set comes with a leaflet advertising Acorn Media products. A show of this caliber deserves more special features than this standard assortment but I am grateful it hit Blu-ray in the first place. A commentary would have been nice. Behind The Scenes (12:01 in HD) – A concise, insightful production featurette with the two stars and crew members. Showrunner Allan Cubitt and other producers discuss the show’s stated goals, even including a bit of on-set footage. Gillian Anderson and Jamie Dornan talk about their roles. Deleted Scenes (09:58 in HD) – Around eleven short scenes are included here, completely finished in quality and likely cut for time. They would have added some minor texture to unanswered questions but are bridging scenes for the most part that aren’t missed. Photo Gallery (02:07 in HD) – A series of still images from the set and related subjects.